Jack fruit is one of the seasonal fruit which is deliciously sweet in taste when ripened. 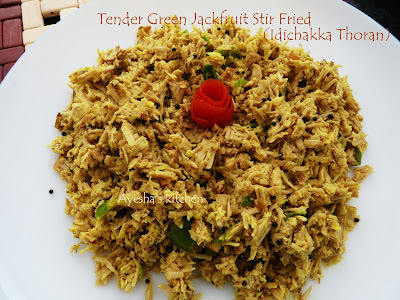 Jack fruit is very common and popular in southern part of India, especially in Kerala. People i Kerala try various dishes with raw tender jack fruit and ripened jack fruit. Dishes like Idichakka thoran, chakka theeyal, chakka payasam, kondattam, chakka curry, chakka porichath and much more are the native dish of Kerala. Since jack fruit is very rich in energy, dietary fiber, minerals, vitamins, free from cholesterol, this fruit becomes one of the healthy summer treats to relish. Now am here sharing the recipe of Idichakka thoran ( tender green jackfruit stir fried ) which is used as a side dish to rice, dosa ..It tastes very delicious and is very healthy too. More over its very simple to make. Do try. Remove the skin of raw jack fruit / idinchakka. Then cut into small pieces as shown in the pic. If u are using canned jack fruit then drain the water and rinse the jack fruit with running water. Pressure cook the jack fruit with salt, turmeric powder and required water until 2 whistles. Do not cook more. Once done, drain the water and allow it to cool. Now shred the jack fruit by pounding then with a pestle OR can pulse in a grinder, set aside. 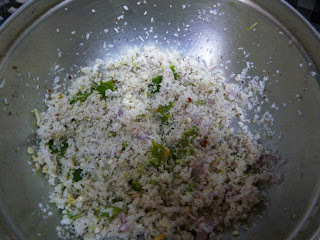 Now coarsely grind coconut, green chili, shallots, ginger,cumin seed, garlic . 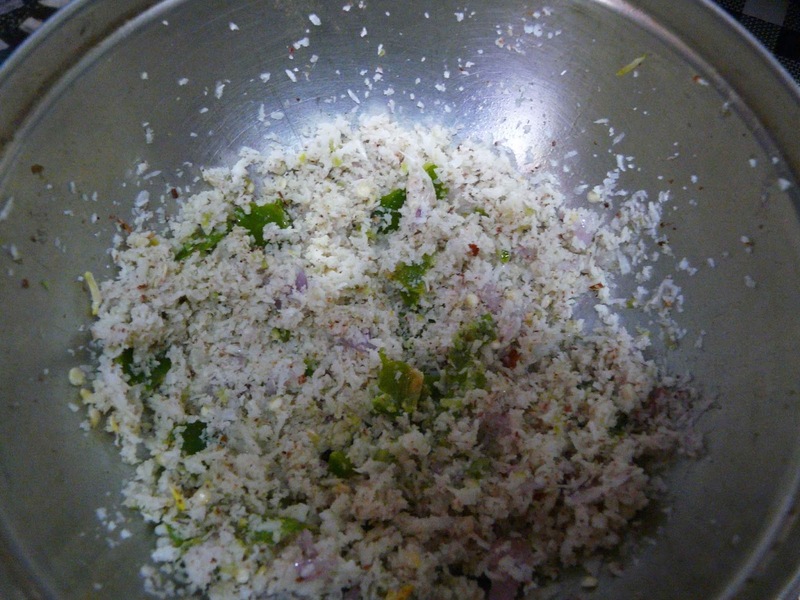 Combine the coconut mixture with the shredded jack fruit. Mix well. Now heat a pan with some oil. Then splutter mustard seed and curry leaves. 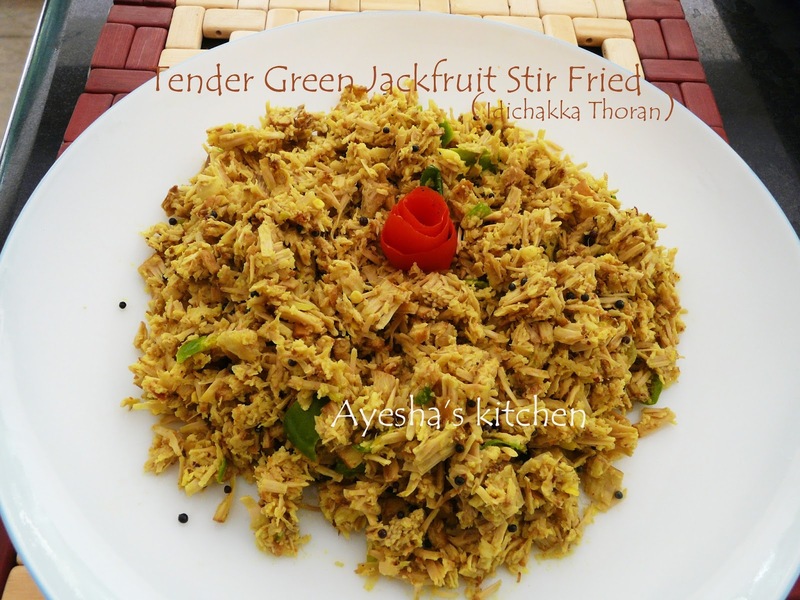 Add the coconut jack fruit mixture to it and saute them in a medium flame. Cook for two minutes and off the flame. Serve with hot steamed rice or kanji. Enjoy!! !